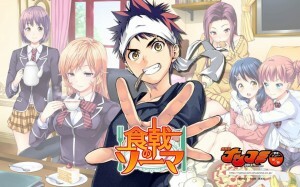 Shokugeki no Souma: Ni no Sara Review - Order Up! Shokugeki No Souma: Ni no Sara is the second season of the Shokugeki no Souma series. It picks up directly where the last season left off; in the middle of the Tōtsuki Autumn Elections. Souma has just passed the preliminary round after facing off with power houses like Hayama and is all psyched up to win the tournament. Can he win against what is touted to be the generation of prodigies? After the tournament, begins the second half of the season which covers the Stagiaire Arc. This is the equivalent of their internship period in which they get attached to a restaurant and must prove their worth in order to advance further into the ranks of Tōtsuki. It isn't enough for them to be able to work in a restaurant environment. They must also improve the place in such a way that their mark is left on the food place forever. With the many abrasive personalities that populate the world of cooking, can Souma survive against all odds? Like the first season, Shokugeki no Souma: Ni no Sara directly follows the manga that it is adapted from. There is no deviation in plot and even certain scenes follow the source material image for image. This is not a bad thing, because the manga itself was already well loved and all the studio had to do was to bring the series to life by animating the whole thing. However, despite following the source material closely, the studio manages to bring its own flair into the mix. Much of what happens in the manga is left to our own imagination as that is the limitation of the medium. But the studio now has their chance to interpret the source material how they wish, and they do it well. A staple of the Shokugeki series is the reactions of the characters when they taste good food. Whilst the manga tries it best to emphasize this fact to us by using extremely vivid imagery, there is just something missing when it does so. 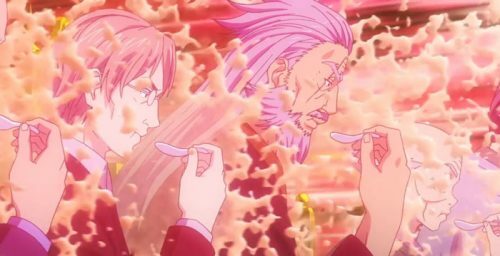 The studio does a good job bringing these scenes to life by following the imagery yet adding their own creative twist into the mix like the over exaggerated moans of delight from the many characters as they sample the dishes. The anime is also very good at making the viewer feel very hungry. It is not an uncommon phenomenon to see someone watch Shokugeki and proceed to go stuff themselves silly afterwards. 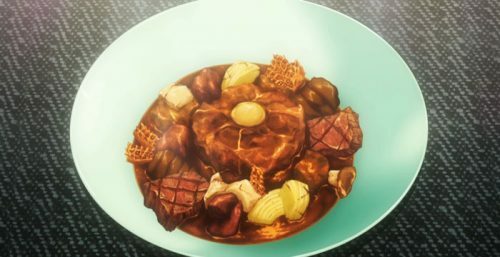 Many of the dishes in Shokugeki no Soma: Ni no Sara look very appetizing and the anime does well in describing and showing just how delicious everything is, thus making anyone who watches drool relentlessly. You should really only watch Shokugeki no Souma: Ni no Sara if you have watched the first season. 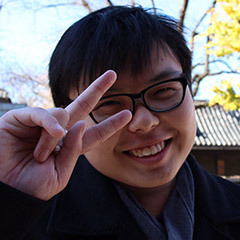 The second season does not make any effort to catch up new viewers to what is going on or who the characters are and instead, chooses to jump right into the story that was left at a cliffhanger in the last season. It was mentioned earlier that the anime follows the manga very closely. 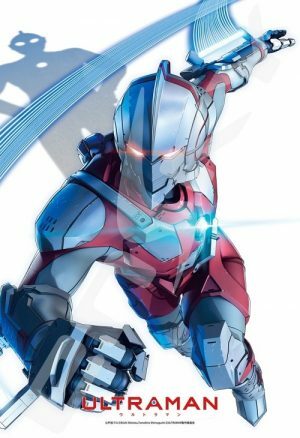 This basically means that fans of the manga already know what will happen in the series image for image and there will be zero surprises. This can be good or bad. If you enjoyed the manga and just want a rehash or you simply want to see your favorite scenes brought to life, there is plenty of that here. On the other hand, you might get really bored watching this as you already know what will happen. In the end, it’s your choice. 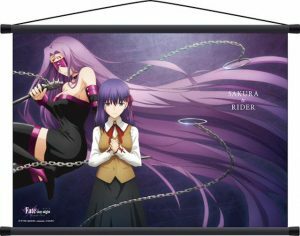 For those who haven't read the manga but have watched the first season, you can expect much of the same in the second season. The same level of animation is present, giving much of the cooking a very bombastic feeling that cannot be replicated in real life. The pacing of the story might be a bit too fast as the second season is allotted fewer episodes than the first. Much of the sound quality remains the same. Characters are competently voiced and you can practically hear how much they enjoy whatever they're feeding the seiyuu in the studio. Music and sound effects are pretty average overall, but they do the job just fine even if they don't stand out. Not everything can be like Nodame Cantabile or Shigatsu wa Kimi no Uso after all. Much of the tension is lost by the time you watch the second season. Partly because most viewers wouldn't even remember how the first season ended. Furthermore, the Stagiaire Arc is more of a transition arc, so the second season ends on a really awkward note and it feels like nothing really got resolved by the end of the season, despite how much they try to pretend something did. The one thing that makes Shokugeki no Souma so good is the Shokugeki themselves. Shokugeki are the pitched battles between two budding chefs hoping to pit their mettle against one another, fighting to determine who’s style of cooking is superior. If you’re looking for more of those, there’s plenty of them to be had in Ni no Sara. 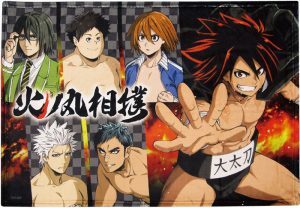 As it picks up right at the end of season 1, the anime continues the competition arc by throwing battles after battles at the viewers. Season 2 also presents a training portion for Souma in the Stagiaire Arc. Up until now, we’ve seen Souma innovating and curb stomping any of his competition with relative ease. Therefore, after he was humbled by Shinomiya, we see him learning some brand new methods of cooking that he has never done before. 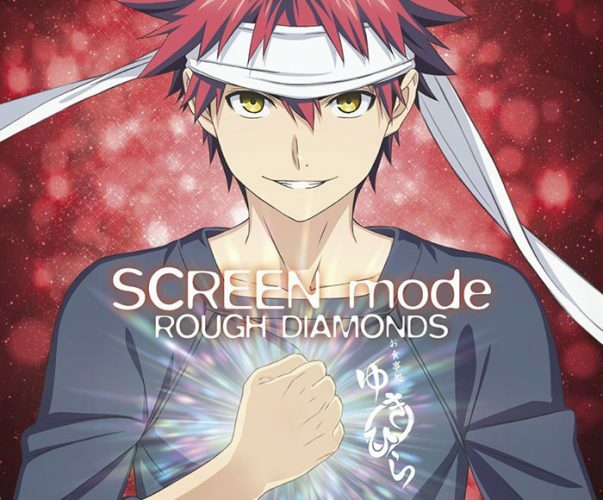 Instead of the relatively overpowered character that he was in the previous season, Souma is now able to show some level of growth through the inclusion of the training arc. And it is a wonderful thing to see. 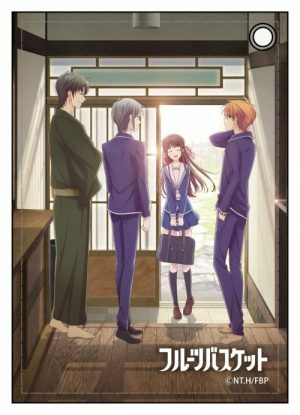 All in all, despite it's problems, it is an enjoyable series that anyone should give a shot at, provided they've watched the first season. There are many excellent moments within the Shokugeki series that cannot be fully visualised just from the black and white imagery present in the manga. Moments like the characters freaking out over a beef stew and being brought into an imaginary amusement park can be fully realised in a medium that has moving imagery and sounds. It just makes the series better as a whole when watched instead of read. Many of us enjoy watching cooking shows even when we don't cook ourselves simply because it brings a strange sense of joy into our hearts to see a table of ingredients being transformed in front of us into a fully formed dish. 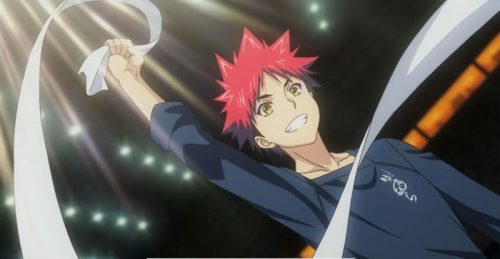 Shokugeki no Soma: Ni no Sara takes it a step further and fully utilises its versatility as an anime to exaggerate the cooking process, making it that much more enjoyable to watch. Like many other animes, Shokugeki has its own pairing wars present within the series despite not being a romance anime. An anime like Nisekoi has its Chitoge fans and Onodera fans pit against each other in a blood thirsty fan war. Likewise, Shokugeki has its Megumi, Erina, Alice, etc. fans that will rend the limbs of their opponents just to argue who would end up with Souma. If you have a particular favorite, you have to keep watching if you want to know who ends up with him in the end! If you didn't like the first season, then you should skip this season. There is really no difference in quality within the two, only a slight increase in the pacing for the second season. It really is just a continuation of the first season, so do skip this if you did not like what you saw before. As stated before, the series follows the manga very closely. This can end up being an exercise of frustration if you have read the manga already as you already know what's gonna happen. There is absolutely no tension or build-up in the scenes as you more or less can already predict the results. 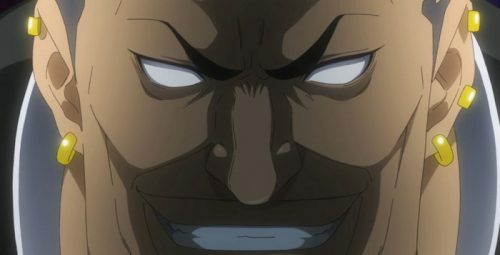 The second season of Shokugeki faces the same issues that many anime face, limitations. It isn't allowed to run the full gamut of a 24 episode season and must cram as much of the story as it can into half that many episodes. This leads to some rushing from plot point to plot point and some viewers might not be able to digest the plot properly. The rushing also disallows character development, at least to the extent that the first season presented. The windup presented in the first season between Souma and Hayama paid off beautifully in the punch delivered in the climax of their battle. Many of the battles that occur in this season occur one after another without much build up, taking away the tension and investment needed to enjoy the battles fully. TL;DR: Shokugeki no Souma: Ni no Sora is a very good anime capable of capturing and retaining a large fan base. It has gotten to the point that is has become mainstream in the industry, and for a very good reason as well. If you're one of the many fans of the series, it's definitely something you should continue watching if you haven't already. There are definitely some issues present like pacing, but overall it doesn't detract too much from the series as a whole. It's virtues like the cooking, the reactions and the humor completely overwhelm it's flaws. 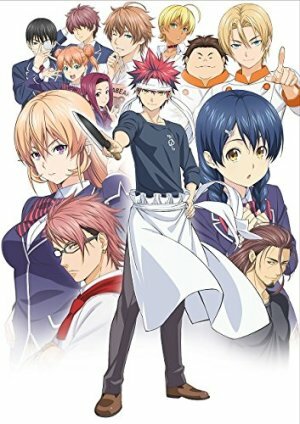 Did you enjoy Shokugeki no Souma: Ni no Sora? Tell us in the comments below! Hi, this is Aria. I have abandoned the 3D world for the 2D one. Occasionally I leave the 2D world to write my thoughts down. With that said and done, it's time for me to depart once more to the forbidden world, my waifus await.